Iwan Sunito’s Crown Group has announced that its 25-storey, “Arc” residential tower has topped out in Sydney’s CBD. 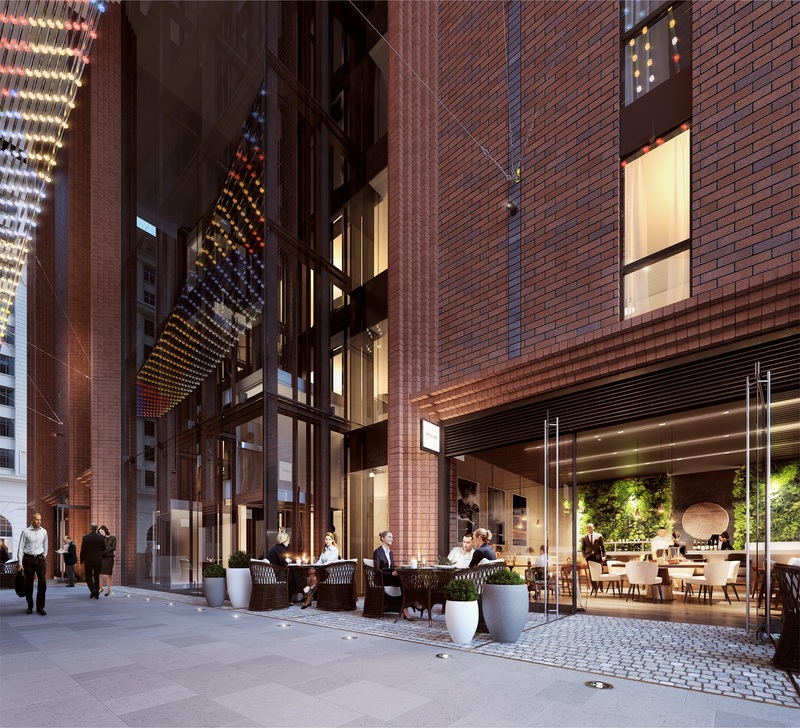 The “Manhattan-style” building now rises 22-storeys and features 220 apartments – including 42 serviced apartments – and ground floor retail outlets activated by a through-site link for public amenity. 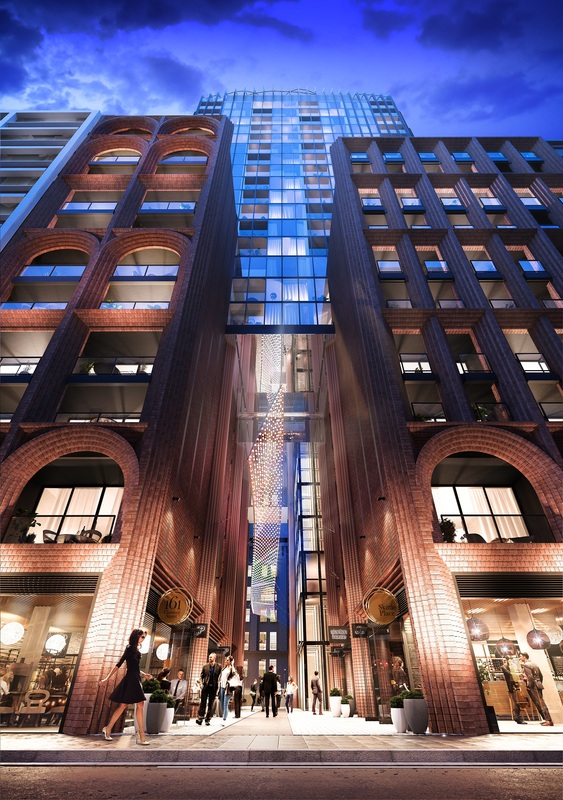 Lower levels include an eight-story cathedral-like atrium rising 20 metres above street level over a new public laneway between Kent and Clarence streets, joining historic Skittle Lane. Koichi Takada Architects designed the building to feature heritage-inspired street level brick arches transitioning to a glass-and-steel tower, with curved fins rising from the building’s rooftop. The $250 million Clarence Street development will join the developer’s under-construction Green Square and Waterloo building developments and the recently announced $1 billion revitalisation of the Eastlakes Local Town Centre. 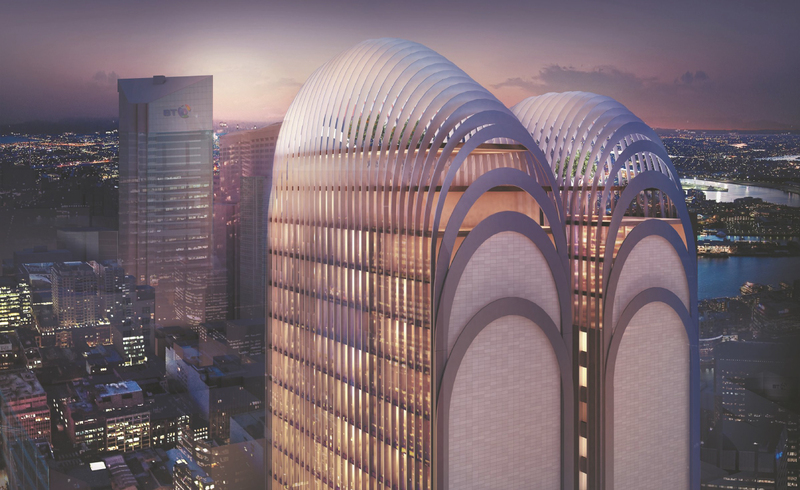 “Arc by Crown Group mirrors the dynamic, optimistic and ambitious nature of Sydney, where the past and the future combine to create a vibrant, international city,” Crown Group chairman Iwan Sunito said. Set for a mid-2018 completion, Arc by Crown Group has reportedly sold 95 per cent of its first and final release of apartments, clocking more than $173 million in sales. Arc by Crown Group is within easy walking distance to Barangaroo and soon to be completed additions to Sydney such as Darling Square and the upcoming $1.6 billion casino Crown Sydney. Crown Group recently made its first foray into Brisbane’s apartment market, submitting a development application for a 12-storey residential tower in West End designed by FJMT.